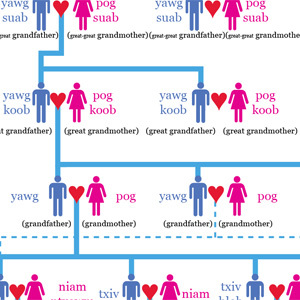 This is a super detailed chart of Kinship based on the family kinship chart in the E. Heimbach White Hmong-English dictionary. The original chart (which you can find in the dictionary at the very end) was not user friendly at all. It is my hope that this one, while still somewhat intimidating, is much easier and more natural to understand. Feel free to comment with questions or suggestions to improve it. Of course, if there are errors, please let me know.